Charming Condo in coveted Charles House. Spacious Living & dining combo. Updated kitchen with new cabinets and granite counter tops. 2 adjoining balconies. Huge master suite with spacious walk-in closet. Great landscaped pool with separate spa. Garage w/covered parking space. 24 hr security. 3 months condo fee for reserves due at sale. 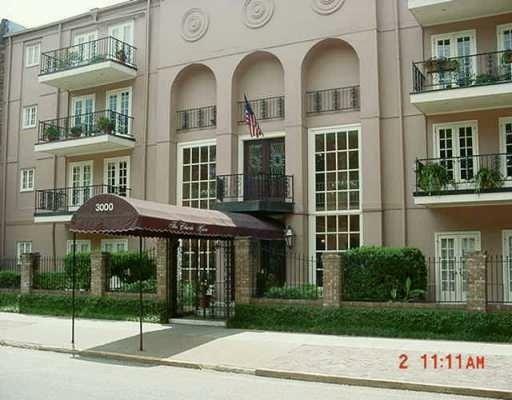 This gorgeous unit faces St. Charles Avenue!! Listing provided courtesy of Cynthia K Sciortino of Gardner, Realtors.